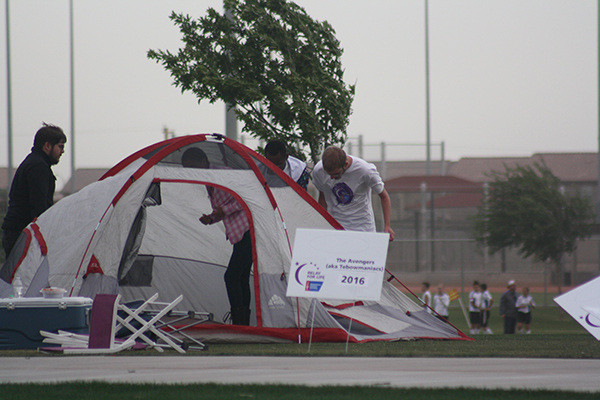 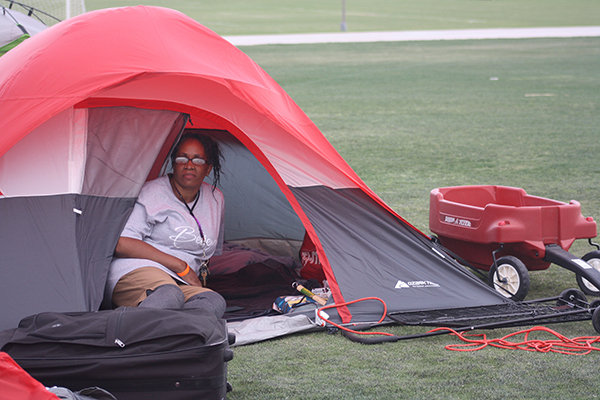 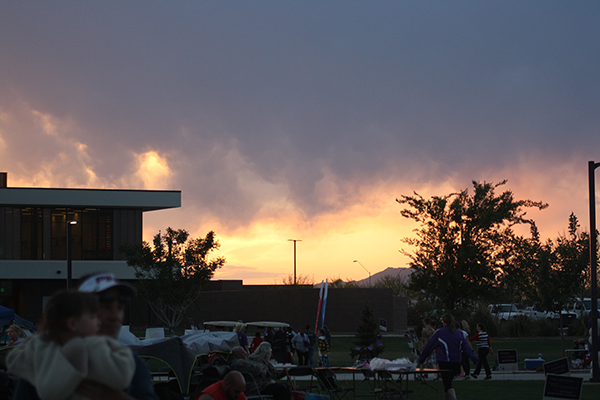 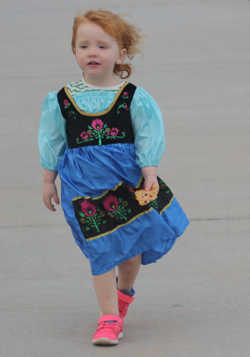 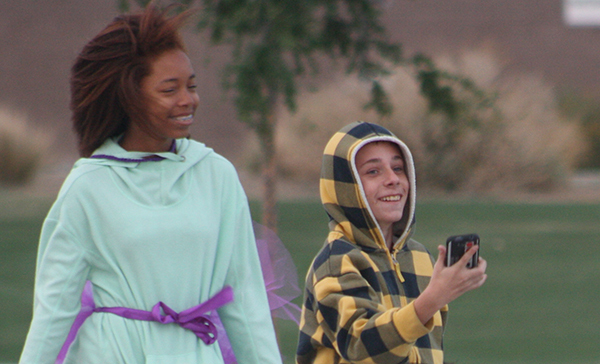 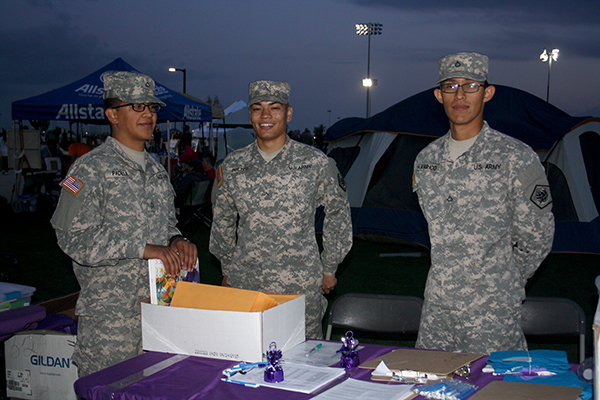 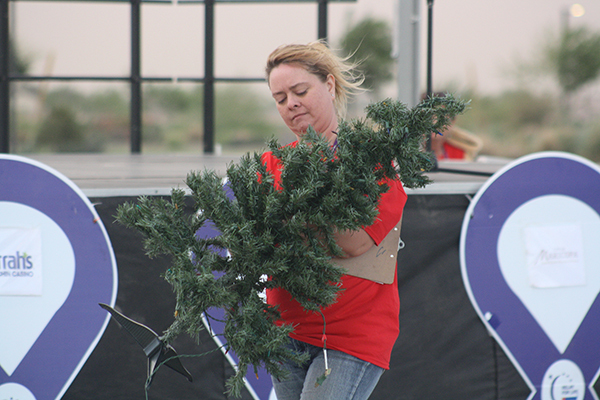 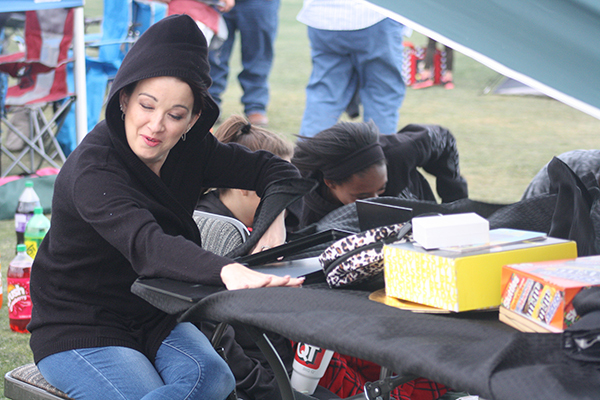 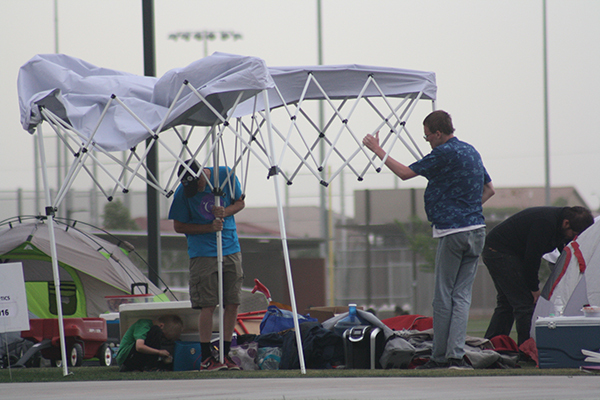 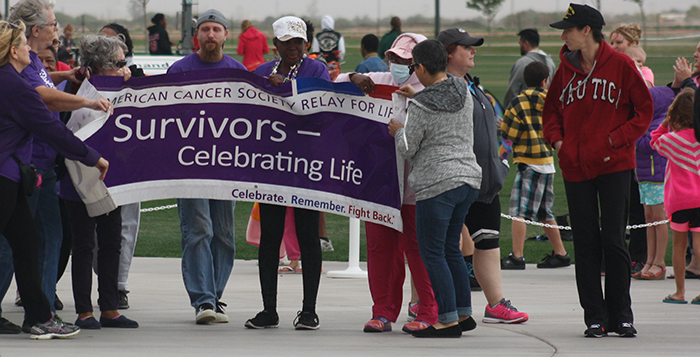 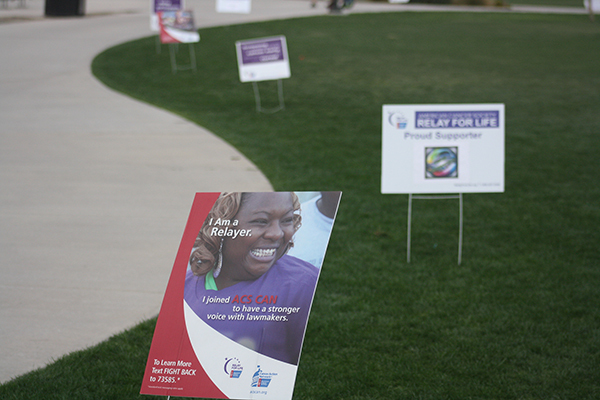 Relay for Life of Maricopa again had blustery conditions Saturday, but participants soldiered on at Copper Sky through strong wind gusts. 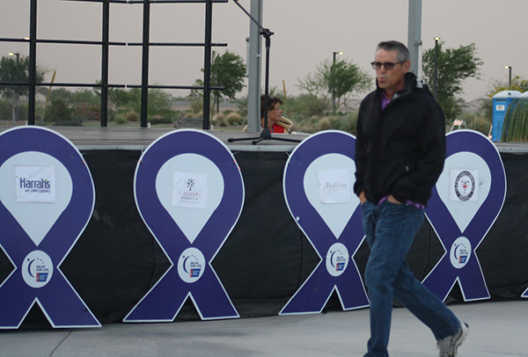 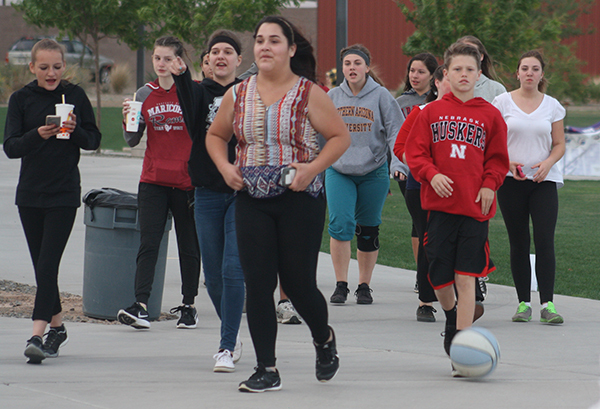 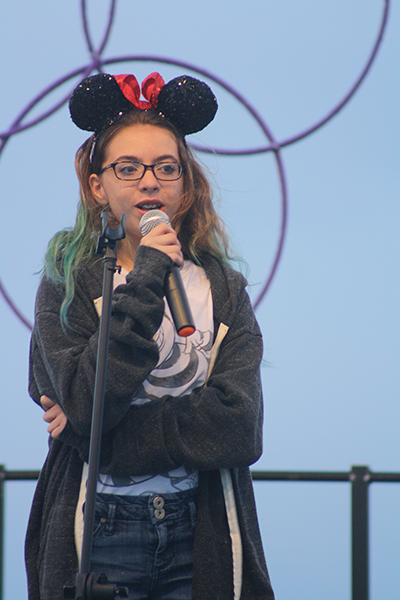 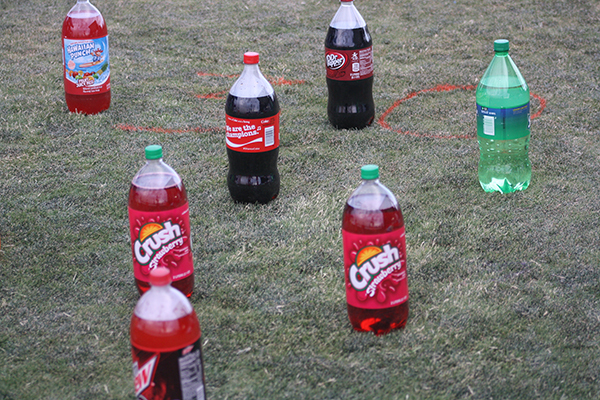 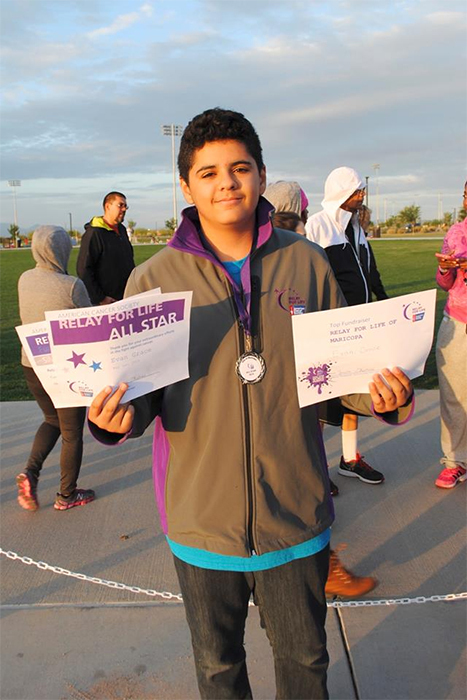 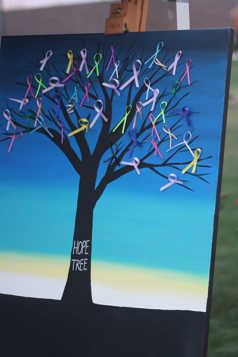 Thirty-nine teams raised nearly $50,000 for cancer research for the event, which was Saturday at 6 p.m. through Sunday at 6 a.m.
Evan Grace, a freshman at Maricopa High School, was the top individual money-raiser. 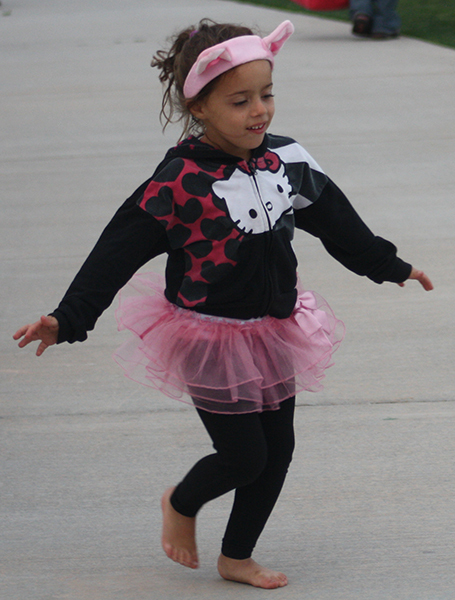 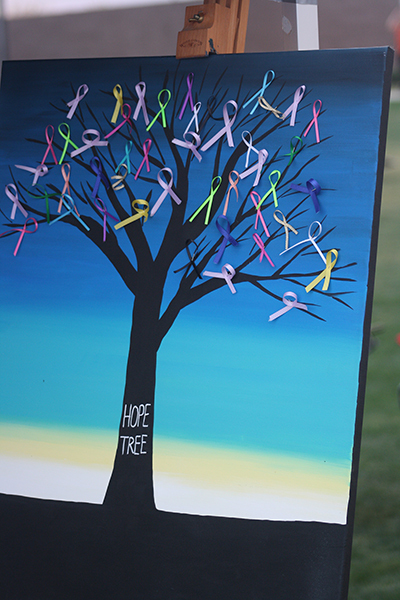 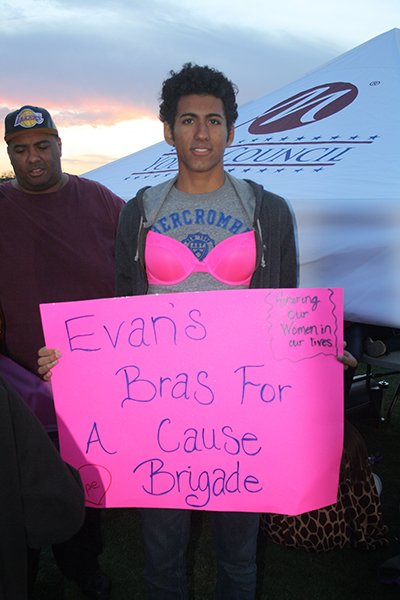 His “Bras for a Cause” project to bring awareness of breast cancer brought in $3,040. 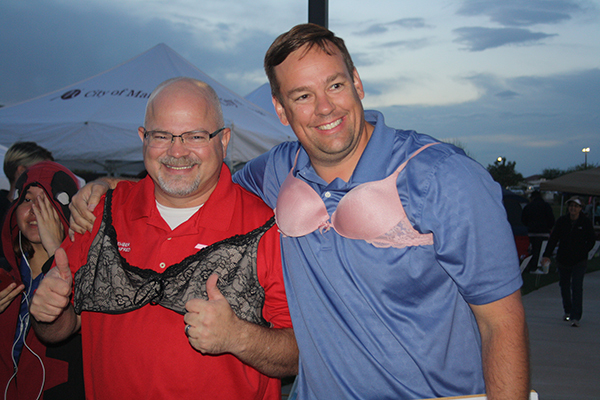 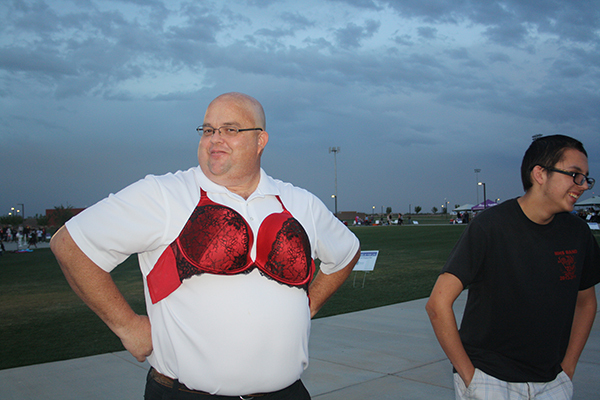 City councilmembers Bridger Kimball and Henry Wade promised him they would walk laps in a brassiere if he raised $2,500. 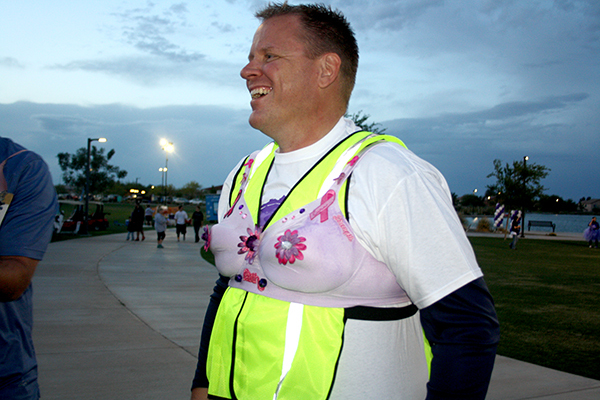 Mayor Christian Price said it would take $3,000 for him to wear a bra. 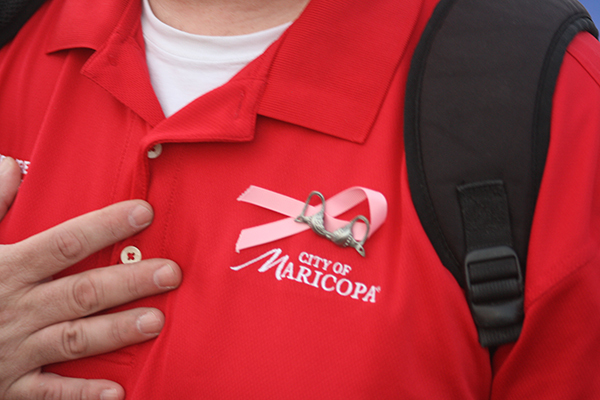 They and other Maricopa men followed through on the pledge. 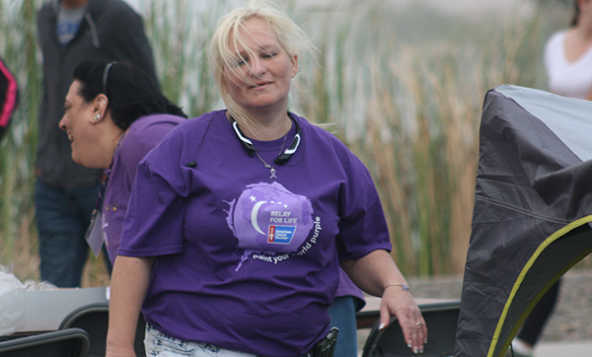 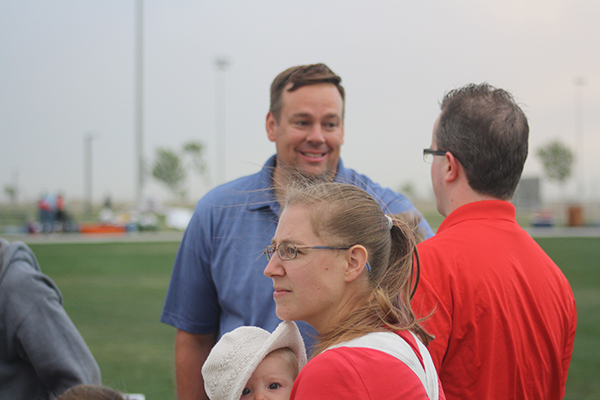 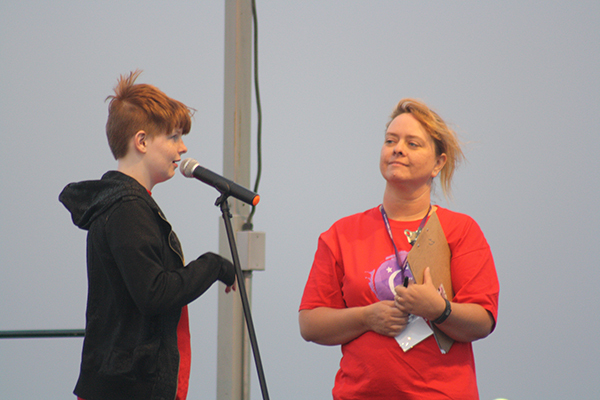 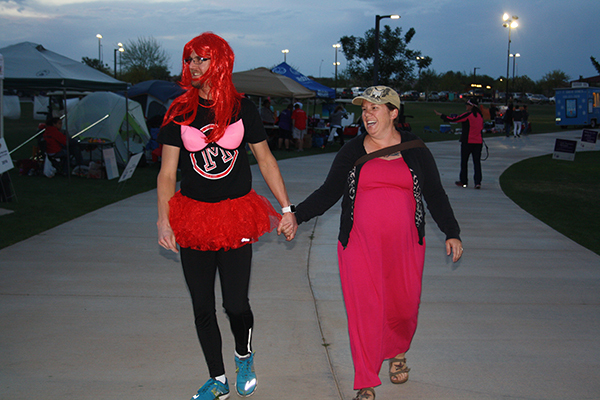 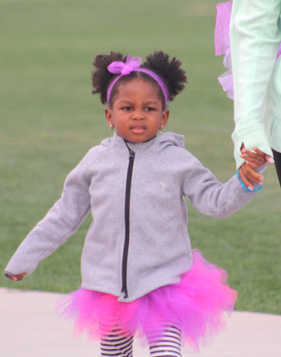 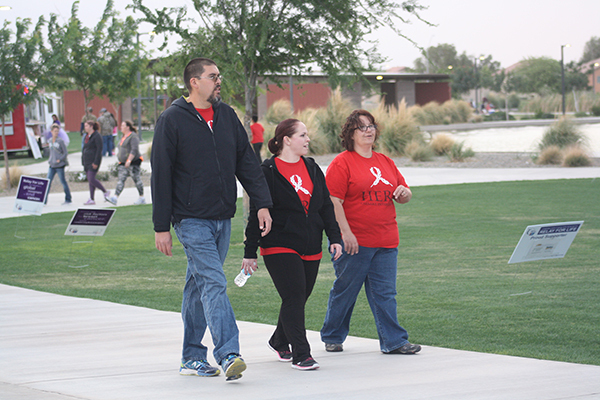 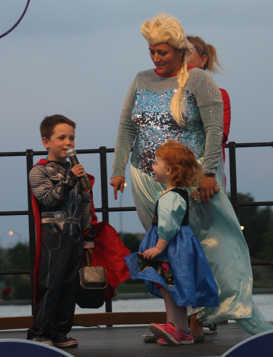 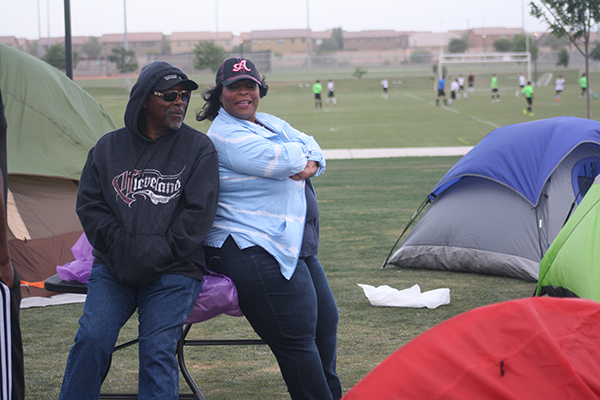 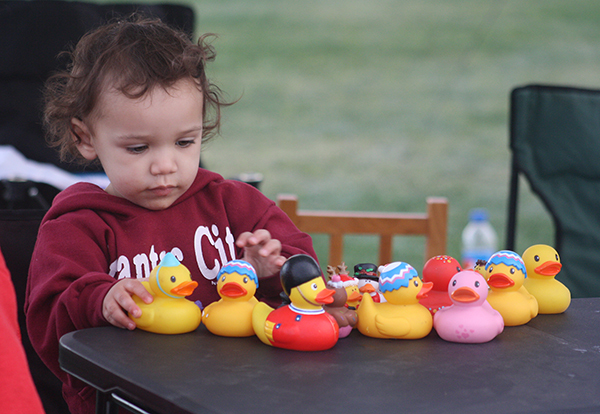 The top fund-raising team was City of Maricopa Copa 4 A Cure, which raised $5,860. 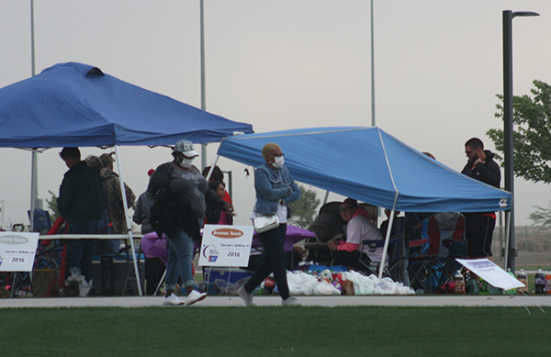 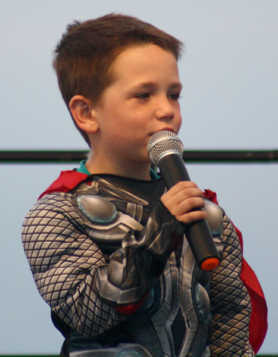 Caped CUREsaders brought in $5,632.40.